Yesterday was the Capitol 10K in Austin, Texas. I ran very little and walked a lot. The weather was overcast with a light mist, so taking pictures was hit and miss. I did get some shots I like that I will post over the next few days. The first picture today is the starting line. I was running untimed so I started in the back half. The feeling when starting the race was amazing. 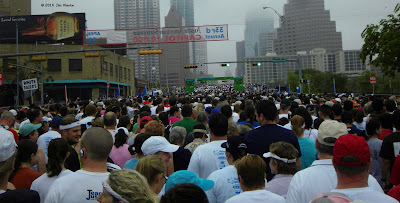 I lived in Austin in the 80s and again in the 90s and never imagined that I would be running down Congress Ave. in 2010. The second picture was after I stopped running and started taking pictures with the Nikon. 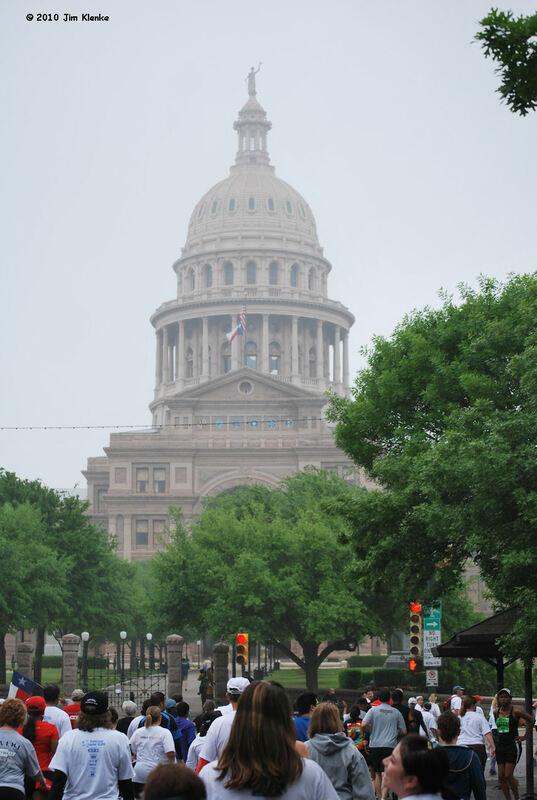 Its the Texas Capitol building. I'll be back later today with a few more shots and notes.